Ted Cavanagh has been working to continue growing a network of design/build educators. 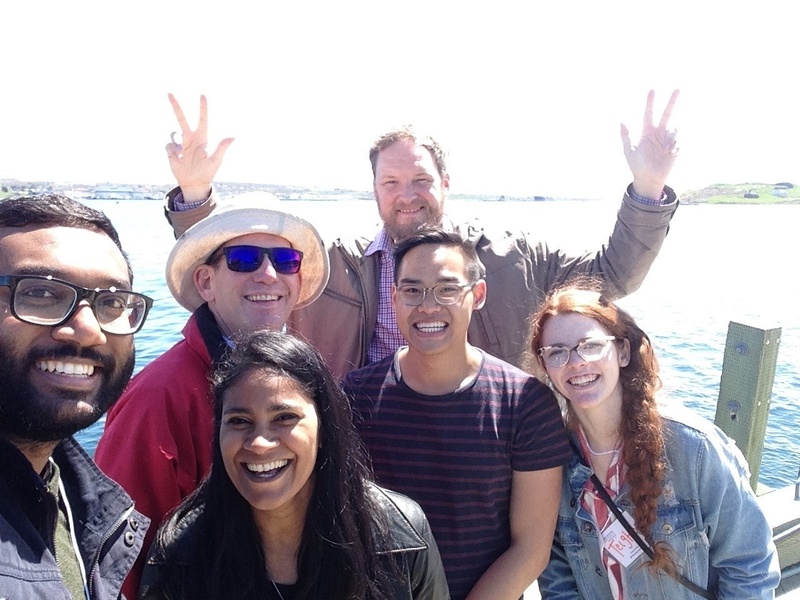 The group extended their active membership at a meeting in Denver (2018), supported by the Association of Collegiate Schools of Architecture and a Connections Grant (2017) from the Social Sciences and Humanities Research Council. As a result, a review of the recent book on Steve Badanes / Jersey Devil and a conference paper delivered in Oxford (2017) were published. Forthcoming publications include Prototyping and Appropriate Technology, a comparative case study in Scales of Sustainable Design edited by Carmela Cucuzzella and Sherif Goubran from Concordia University Press and the Thinking While Doing Gridshells book from Birkhauser in 2019 that Ted is co-editting. Ted gave public presentations of his work at Univesidad de Lisboa last March and was an invited speaker at l'Université de Québec a` Montréal in November. He was chair of the CACB architecture accreditation team for Waterloo University and has served on the jury for the 2018 Canada Council and SSHRC Molson Award and on the SSHRC Impact Awards for the last three years. Elisa Dainese joined the School of Architecture as an Assistant Professor in January 2017, and has since been teaching design, history, and theory. Before arriving at Dalhousie, she was a postdoctoral fellow at Columbia University, NY (2016), a lecturer and Marie Curie postdoctoral fellow at the University of Pennsylvania, Philadelphia (2013-16), and a research associate at Harvard University, Massachusetts (2014). Dr. Dainese is an architect and historian. She focuses on issues such as: postcolonial history and theory, and globalization and modernism. She also studies architectural design and urbanization, specifically in the realm of the transoceanic exchanges across Africa, Europe and the Americas. Her widely published work and research has received grants, fellowships, and awards from Columbia University (Italian Academy of Advanced Studies in America, 2016-17), the Bruno Zevi Foundation (Bruno Zevi Prize for historical-critical essays, 2017), and the Mellon Foundation funded Global History of Architecture Teaching Collaborative (MIT, School of Architecture + Planning, 2017-19). Dr. Dainese is the author of several articles and essays. She is writing a short book called The Construction of the Charter of ‘Habitat’: From the Functional City to the African Village, which will be published in the fall (2018) by the Fondazione Bruno Zevi. She is also the co-editor of a manuscript called War Diaries: Design after the Destruction of Art and Architecture, which is expected in 2019 and analyzes complex post-war settings to illuminate design responses to urban warfare and violence against architecture. She is finishing a book entitled African Dimensions of Postwar Architecture: A Global History of the Sub-Saharan “Habitat”, which investigates the transcontinental exchanges and connections between European and North American architects and African architectural heritage in the post-World War II period. In the past year, Dr. Dainese presented papers in Paris (Cité de l'architecture), Montréal (Canadian Centre for Architecture), Lisbon and Milan. Additionally, she will speak at the Bartlett School of Architecture, in London (2018), and at the 72nd Conference of the Society of Architectural Historians, in Providence (2018). Dr. Dainese will join as Visiting Scholar the Canadian Centre for Architecture (CCA, 2018) in Montreal and research on the work of notable architects, such as Aldo van Eyck, and Daniel and Blanche van Ginkel, who encouraged the transfer of African knowledge in Europe and America. Susan Fitzgerald (and FBM) has received 2 Mies Crown Hall America Prize Nominations from the IIT College of Architecture for Bible Hill Consolidated Elementary School and House in Scotch Cove in East Chester. At the recent RAIC conference in Saint John, FBM received two Maritime Architectural Design Excellence Awards for Cabot Links Lodge and the Halifax Central Library (w/ SHL Architects) and two awards of merit for House in Scotch Cove and the Bible Hill Consolidated Elementary School. 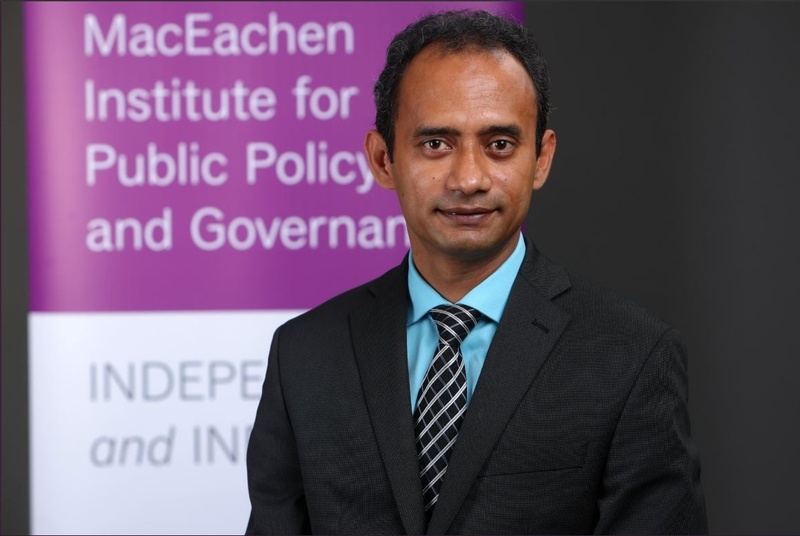 Dr. Ahsan Habib has been newly appointed as the Vice President of the International Professional Association for Transport and Health (IPATH) and as a Visiting Professor of the Transportation Research Institute at the University of Hasselt, Belgium. He is also a Founding Fellow at the MacEachen Institute for Public Policy and Governance. In the last year, Dr. Habib and his team have published 7 refereed journal articles in Computers, Environment, and Urban Systems, Transportation Research Part A: Policy and Practice, Transportation Research Record: Journal of the Transportation Research Board, Travel Behaviour and Society, and Planning Practice and Research. He presented in the International Conference on Transport and Health (Barcelona, Spain), the 8th International Conference on Ambient Systems, Networks and Technologies (Madeira, Portugal), the World Symposium on Transport and Land Use Research (Brisbane, Australia), and the 97th Annual Meeting of the Transportation Research Board (Washington, DC). Additionally, he received the NSERC Discovery Grant, which included $130,000 for “Development of an Agent-Based Microsimulation Model of Urban Systems that Integrates Location Processes, Vehicle Ownership and Travel Activity Choices”. He has also been awarded grants from the Halifax Regional Municipality for “Household Travel Activity Survey for Halifax”, the Connect 2 Program of the Province of Nova Scotia for “Connect Smart 2.0: Scenario Planning for Technology-Based Mobility Opportunities in Nova Scotia”, and the Nova Scotia Department of Energy for “Technology-based Evaluation of Active Transportation Infrastructure Projects: Training and Data Collection”. Emanuel Jannasch presented his “Antidome” work at the Canadian Masonry Symposium (Summer, 2017), one of four major international masonry engineering conferences. He developed the results as a C.A.S.T Visiting Researcher at the University of Manitoba, and during Free Labs and electives at the School of Architecture. At the Annual Meeting of the Society for Teaching and Learning (2017), he presented a simple method for forming fair and diverse teams in group-learning situations. In October, he gave a paper at the Atlantic Region Philosophers’ Association annual meeting on the Ordinary Language of Diagrams. Emanuel has just returned from Budapest, where he gave a paper on Visual Tools for Nuanced Thinking, which he had the honour of previously introducing to the Dalhousie student group, Equality in Architecture. His trip to Hungary taught him about traditional and modern timber building in Austria and Jože Plečnik’s tactical urbanism in Ljubljan, both of which will be showcased in his classes. 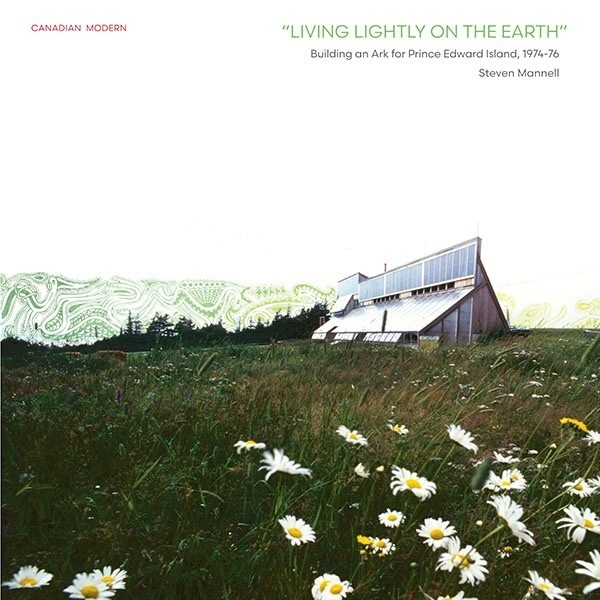 Steven Mannell’s book Living Lightly on the Earth: Building an Ark for Prince Edward Island 1974-76 was published by Dalhousie Architectural Press in February 2018, with book launch events in Toronto, Halifax and Charlottetown. Steven continues as Director of the College of Sustainability, which saw its 495th student graduate in June. His research on the history of “ecological architecture” and the role of social change in creating sustainable built environments informs his chapter on “Environmental Architecture” in the forthcoming book Northern Building: Canadian Architecture 1967-2017 (Elsa Lam and Graham Livesey, eds., Princeton Architectural Press, 2019). Brian MacKay-Lyons and Talbot Sweetapple were recently honoured as laureates of the prestigious Global Award for Sustainable Architecture by the Cite de l’Architecture et du Patrimoine in Paris, under the patronage of UNESCO. The Global Award Community, which consists of the 60 contemporary architects and teams from around the globe who have received the award, works towards a sustainable architectural ethic and fosters research, experimentation and transmission in the fields of sustainable architecture, urban renewal and academic social responsibility. MacKay-Lyons Sweetapple Architects is excited to announce the recent opening of its office in Denver, Colorado to better serve its American clients. 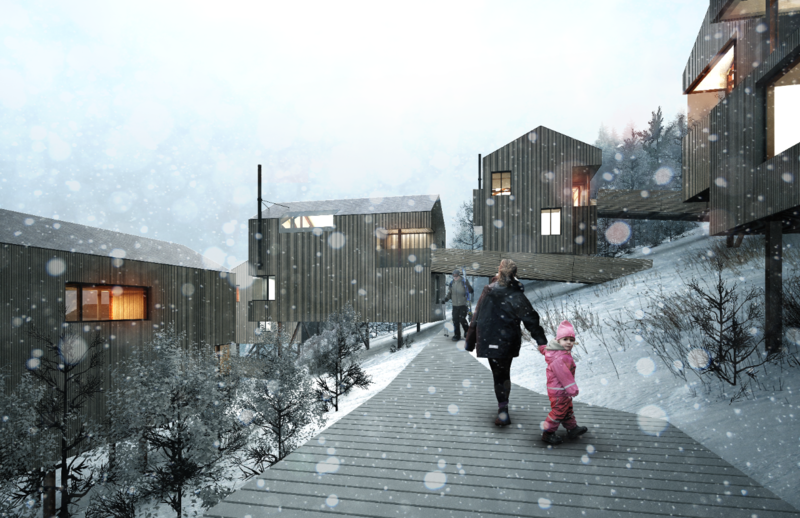 This initiative builds naturally on MacKay-Lyons Sweetapple Architects’ work on Summit Powder Mountain in Utah, where the first neighborhood of interconnected cabins is slated for completion in the fall of 2018. Also on the mountaintop in Utah’s Wasatch Range, several private residences are under construction for members of the Summit community. Summit is based on the values of community, ecology and creativity, and designed to unite entrepreneurs, non-profit leaders, artists, scientists, athletes and change-makers from various backgrounds in unique and beautiful locations. 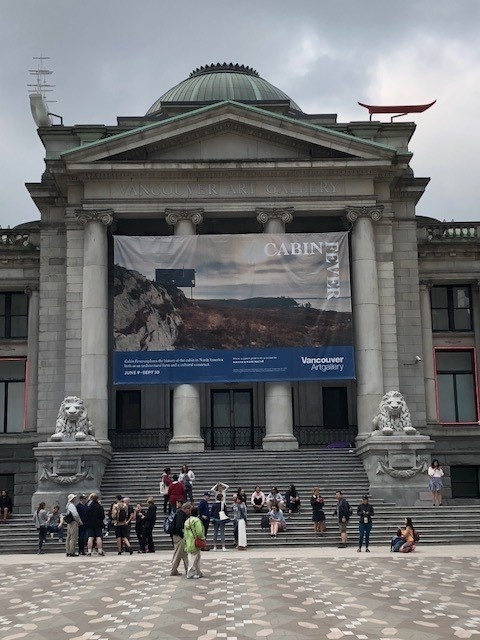 Until the end of September 2018, Cliff House by MacKay-Lyons Sweetapple is featured in the Vancouver Art Gallery’s exhibit ‘Cabin Fever’, which traces the tradition of the cabin in North America and presents a deeper understanding of its cultural history. Cliff House is also the promotional image for the exhibit’s invitations, posters, brochures, and gallery banner. The 2017 monograph ‘The Work of MacKay-Lyons Sweetapple Architects – Economy as Ethic’ is now in its second printing and continues to be reviewed in publications such as Canadian Architect, Sustainable Architecture and Building, and Abitare. National publications such as the Globe and Mail and Canadian Architect continue to regularly cover the work of MacKay-Lyons Sweetapple, as do many local and web publications. 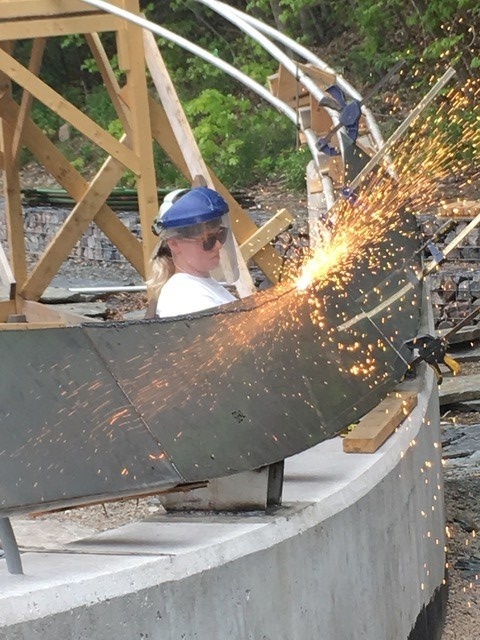 Roger Mullin’s design/build installation in the Magdelan Islands entitled “Anchoring” (2015) was featured in a film by Matt Reynolds at the Architecture Connects AAE conference at Oxford Brookes University in the UK. Additionally, Roger and Eric Stotts were awarded the George Leslie Stout Fellowship Award, for a sculptural instrument that demonstrated the colour of the Iowa landscape, pointing to the history of surveying vis-à-vis the Jeffersonian grid Art, in the Public Sphere that supported the production “Sample Stick” which was exhibited in De Moines, Iowa. It was sent to Iowa and will be back in Nova Scotia to be exhibited here. This work followed a second place award, representing Dalhousie University, in an invited international completion for a permanent land art sculpture for a library in Winterset, Iowa. 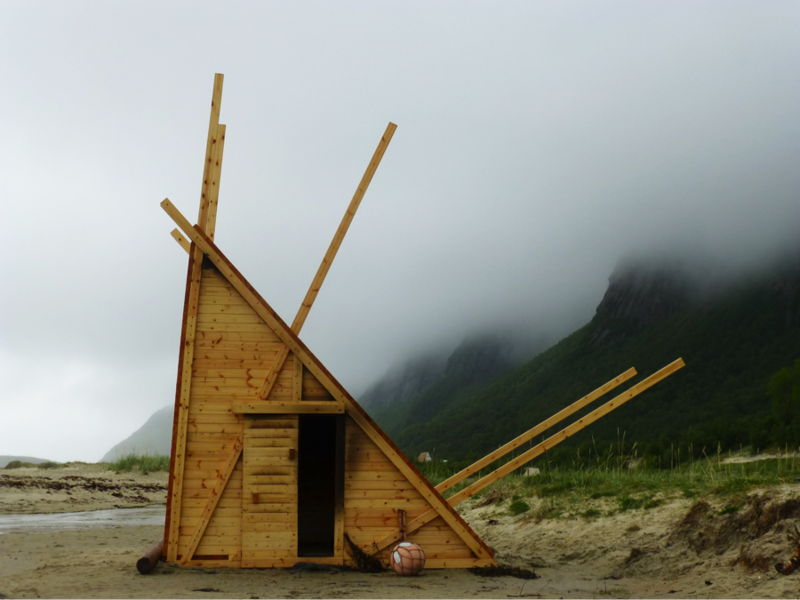 The design/build project, “Nomadic Shelter”, completed in 2015 in Sandhornøya, Norway as part of ‘SALT – International Design/Build Workshop was exhibited in “In Therapy: Nordic Countries Face to Face” at the 2018 Venice Bienale. The project also received 3rd place (People’s Choice Award) in Azure Magazine. Roger led his fourth graduate studio excursion to Iceland that includes studies of landscape, infrastructures and buildings. He continues to work with local communities offering drawing workshops and was part of of ‘Quantum Pantomine’, a musical performance and stage set design that was awarded an anchor project at Nocture: Art at Night 2017. Benjie Nycum participated on a variety of panels, including “Building Science, an Atlantic Perspective” (Design and Construction Institute), “Future of Work and Housing “ (Saint Mary’s University), and “Creating Value: Leveraging Innovation for Business Growth” (National LGBT Chamber of Commerce Summit of the Americas). He also presented ”Emergent Readiness: Tips and Tricks for and Emergency Department Move” at the Canadian Healthcare Engineering Society) and “Where do You Want to Die” at the Silver Economy Summit. In early 2018, Canada’s Minister of Heritage, the Hon. Melanie Jolie, appointed Benjie as a Trustee for the Canadian Museum for Human Rights based in Winnipeg and he was appointed by Halifax Chamber of Commerce as Director at the Halifax International Airport. He entered his 3rd year as a Director of the Design and Construction Institute and is in his 10th year serving the Canadian Gay and Lesbian Chamber of Commerce, currently as its Vice President. At the Dalhousie Faculty of Architecture and Planning, where he continues to love teaching every term, he was appointed chair of the Professional Practice Teaching Group. Steve Parcell has been an active member of the Willow Tree Group, along with professor emeritus Grant Wanzel and six other Haligonians. The group analyzed and criticized proposed developments in Halifax, mainly in the Robie-Quinpool area. He wrote half of the group's editorials, edited the WTG website (willowtreehalifax.wordpress.com), and used architectural drawing to raise public questions beyond what developers and city hall were considering. Mikiko Terashima gave a lunch seminar for professional planners organized by the Licensed Professional Planners of Nova Scotia (LPPANS) entitled “Spatial access issues and community health impacts: Enhancing evidence at the intersection of planning and public health”. The LPPANS lunch seminar series is part of their continuous learning modules, and planners earn credits to maintain their membership. Mikiko successfully obtained the Social Sciences and Humanities Research Council Partner Engage Grant, in partnership with the Rick Hansen Foundation, to conduct research on establishing a benchmarking framework for performances of accessible buildings. Ren Thomas is currently leading two research projects, “Rental housing in Canadian cities: Barriers and solutions to implementation” (SSHRC Research Development Fund Grant) and "Preservation of non-profit housing in Halifax: Policy tools and challenges" (SSHRC Partnership Grant). As a co-applicant on “Over the Line: A Bilateral Conversation on Race, Place, and the Environment“ (SSHRC Connection Grant), Ren helped organize a symposium (linked live event) on October 27, 2017 with Dr. Ingrid Waldron at the School of Nursing. She wrote pre- and post-pilot surveys to measure the effectiveness of the Town of Bridgewater transit pilot project launched in October, which MPlan students used for a team project in the Winter term. Ren presented a paper on teaching the urban design studio at the Association of Collegiate Schools of Planning conference in Denver (October 2017). She published two peer-reviewed papers: one on transit-oriented development (TOD) in Regional Studies, and the other on demographic change in the Atlantic cities for Plan Canada. Ren is also active in the planning profession; she was on the Atlantic Planners Institute Awards for Planning Excellence committee in September 2017, gave a lecture to the Licensed Professional Planners Association of Nova Scotia (LPPANS) in January 2018, and organizes a monthly social event for planners in the HRM. Catherine Ann Somerville Venart was a visiting researcher in the Delta Urbanism Group, at TUDelft’s Faculty of Architecture & the Built Environment. She investigated spatial and temporal dynamics of the Dutch Delta, where change and confluences are drawn out, correlating the entwined relationship between the constructed urban/landscape and its notations. From this research, lectures, papers and book chapters have been published, including Cities on the Sea: The Delta a Crisis of Limits in New Instrumentalities 2018 ACSA International Conference June 14-16, 2018 | Madrid, Spain (pending publication in proceedings), Tethering Landscape - Constructing Representations and Landscapes in the Dutch Delta in PPADD 2018, AUS, Dubai Emirates Feb 16-18, and a book chapter entitled “Dutch Coastline" in The North Sea I and II, edited by B,Taneha & K, Hammid. TUDelft and NAi Press (publication pending) July 2018. Included in this publication are the research and design work from TU Delft and Dalhousie Graduate Students. Catherine’s graduate studio, Rethinking the Collective, Urban Morphologies and Climate Change in the Dutch Delta, travelled to the Netherlands for 2 weeks in the Fall term, where they were part of an interdisciplinary and international group of graduate students and participated in a symposium and attended workshops and lectures from practitioners, academic researchers, and experts from a variety of disciplines on large territorial scale projects. Catherine has also been asked to be a reviewer for conference papers for ASCA and a reader for the Journal for Urban Design. Lisa Berglund holds a bachelor’s degree in architecture from the University of Michigan, and a master’s degree in urban planning and design from the Royal Institute of Technology in Stockholm, Sweden. She completed her doctorate in urban planning at the University of California, Los Angeles (UCLA), and has been teaching there for the past year. Her research interests focus on community development in the context of post-disaster cities, and the historically demonstrated potential for uneven development of the built environment across different race and class identities. 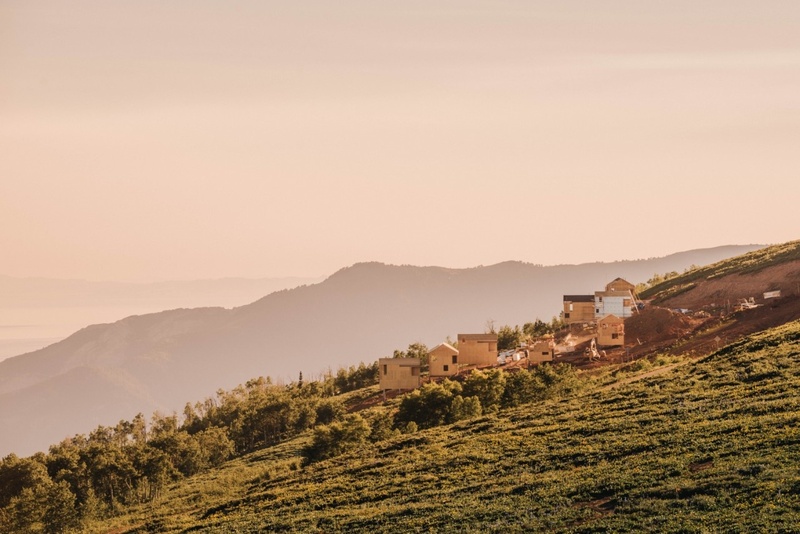 This research engages with communities to understand the policy obstacles that disenfranchise some groups from re-establishing their homes and important community places in times of crisis. Focusing on the perspectives of politically marginalized urban populations, especially those experiencing economic, natural, and/or social disasters, her work aims to share narratives of communities that are often left out of planning processes, and disproportionately treated as the objects of policy expertise. Barbara Andersen holds a PhD (2008) from the University of Idaho, Environmental Science (2008), a MS from the University of Wisconsin-Madison, Urban and Regional Planning (2002), a MLA, with a minor in ecology, from the University of Minnesota, Landscape Architecture (1990), and a BS from Iowa State University, Landscape Architecture (1981). Her research focuses on social science theories related to environmental issues, particularly environmental history, planning history and theory, and transportation justice. Barb brings a multidisciplinary background to teaching and research – bridging the fields of community and regional planning, landscape architecture and environmental science - with emphases on environmental planning, planning research methods, and student-community engagement. Barb has been very active with the Greater Des Moines Partnership/Downtown Community Alliance, USDA Forest Service Landscape Ecology Research Work Unit, and others.